More than a decade of helping patients followed Dr. Brian Murphy’s college and medical education, giving him a broad range of experience on top of his extensive medical training. Dr. Murphy earned his B.S. from the University of New Orleans in 1993 and his M.D. from the LSU School of Medicine in New Orleans in 1997. His medical residency in Neurology was performed at LSU Health Sciences Center in New Orleans and was completed in 2001. 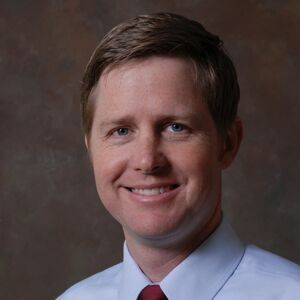 Dr. Brian P. Murphy continued his training, earning a fellowship in Movement Disorders in 2002 and in Clinical Neurophysiology in 2004, before joining The Baton Rouge Clinic in 2004. Dr. Murphy is board certified by the American Academy of Neurology and is licensed to practice in the state of Louisiana. He is married with two children to Dr. Courtney Murphy, a dermatologist also with The Baton Rouge Clinic. In his private time, Dr. Murphy enjoys family time, golfing and is a big LSU Football fan. He is a native of Metairie, Louisiana and is a member of the Chapel Church in Baton Rouge.